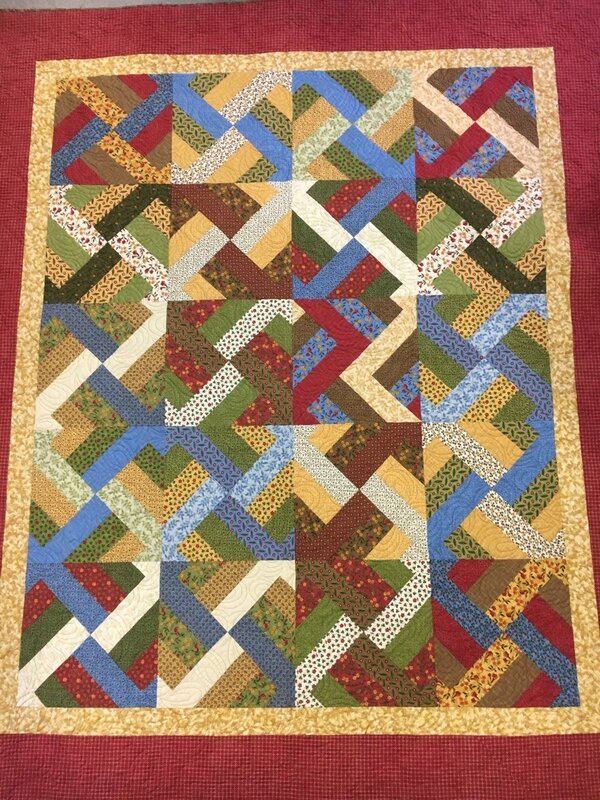 Use your favorite Jelly Roll or left over 2.5 inch binding strips or scraps cut into 2.5 inch strips to make this quick quilt. Come join us for a fun afternoon or evening of stitching. If you bring the top completely pieced to the April, Lighting Strikes Twice Table Runner class, there will be a gift waiting for you. Class is March 14th at 2PM or 6PM. Hope to see you there.